Most known for their crazy milkshakes, we decided to try Benjamins newly updated menu from mid April of 2016. The Benjamins: 5-courses degustation set menu available for dinner from NOW on at only $35++ per pax. Please quote that you will be coming for the degustation set menu as limited portions available daily. Parking [EPS] at the Forum Shopping Centre, but I’ll avoid this carpark if your ride is low and you dislike tight spaces!! Alternative parking at Anguilia Park [EPS] open space carpark. Beef Rendang Fries [S$15] Local rendition of chili fries, melted cheese and served with creme fraiche. 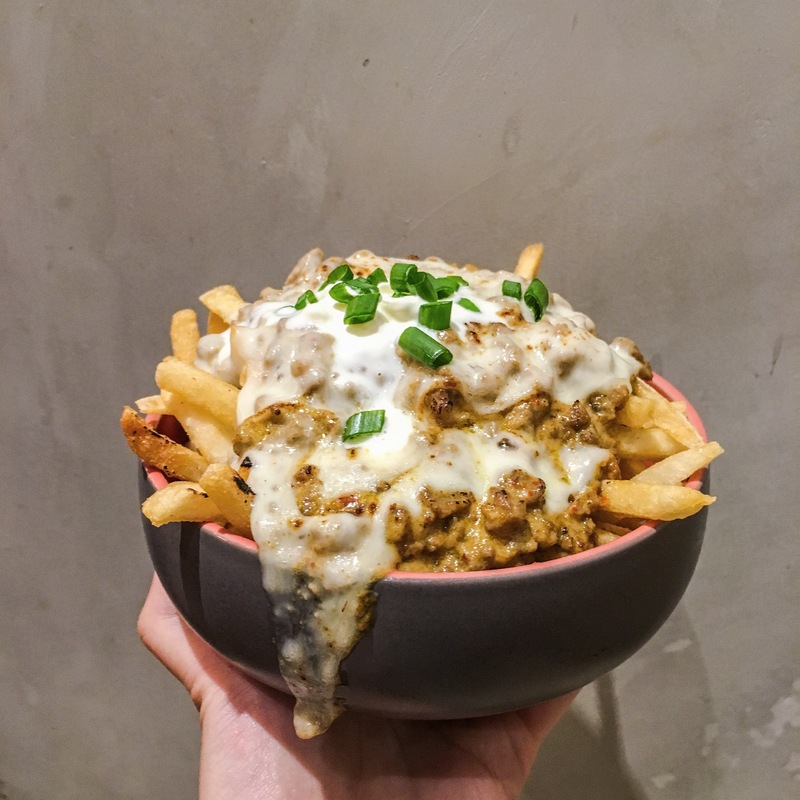 This tops my list of best beef chili cheese fries in Singapore! 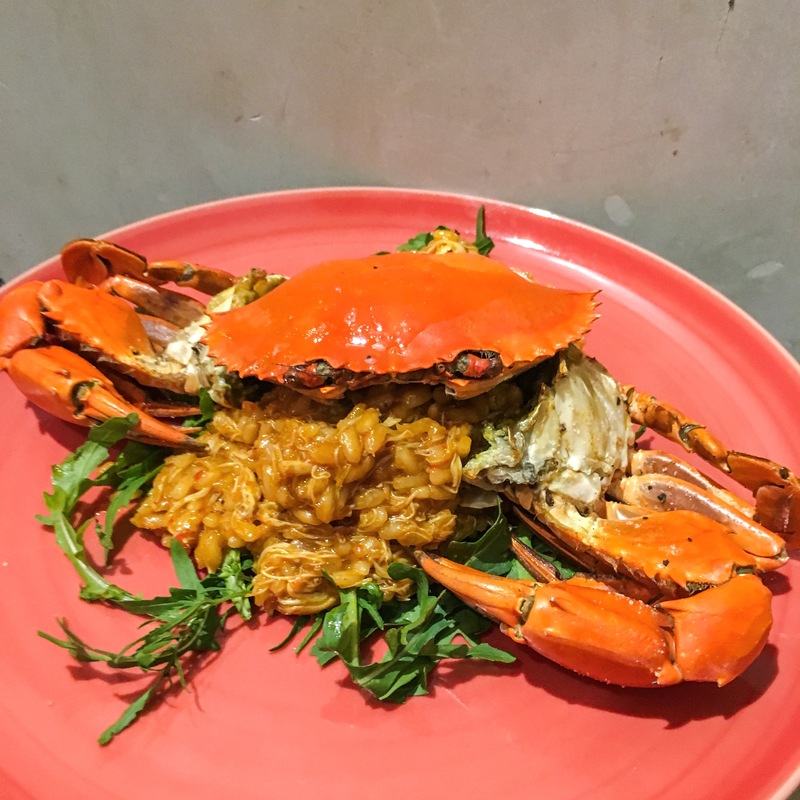 Chili Crab Risotto [S$32] Spicy chili crab meat risotto served with a whole crab. Taste and flavour is good but I like my risotto with a little wet. It ended up being too sticky. Will I Return O-Meter : Yes. Reservations recommended.